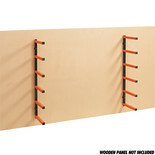 A simple to install wall mounted rack, providing tidy storage of wood,metal, plastic etc. of varying lengths and widths. 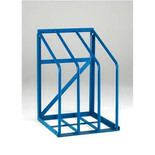 This Barton rack is suitable to store all sheet material, panels and boards and is 900 x 600 x 600mm in size (H x W x D). 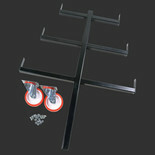 This unit is completed with a powder coating for added durability. 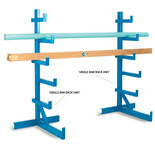 This Barton bar rack is suitable to store bars, pipes and tubes and is 840 x 890 x 1840mm in size (H x W x D). 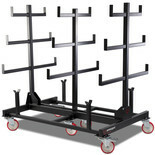 This unit is completed with a maximum capacity of 4000kg.This set comes with 2 bar racks. 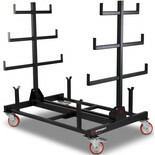 Armorgard PRUK PipeRack Upgrade Kit From A 1T To 2T/PR1 To PR2. 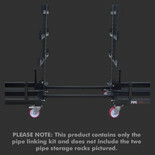 Upgrade your PR1 pipe storage unit to a PR2 with this easy to use kit.